Several month’s before a new book is due to be released, the publishers send out advance proofs to editors so that it can be reviewed in newspapers, magazines, and websites in time for its launch, as well as to people you hope will say nice things about it for the blurb on the back cover. 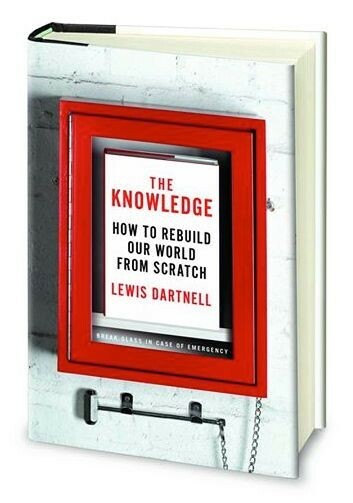 The cover for these paperback proofs is generally the same design that the final published jacket cover will use but the UK publishers, Random House, thought they’d try a different tack with The Knowledge to tickle editorial curiosity. 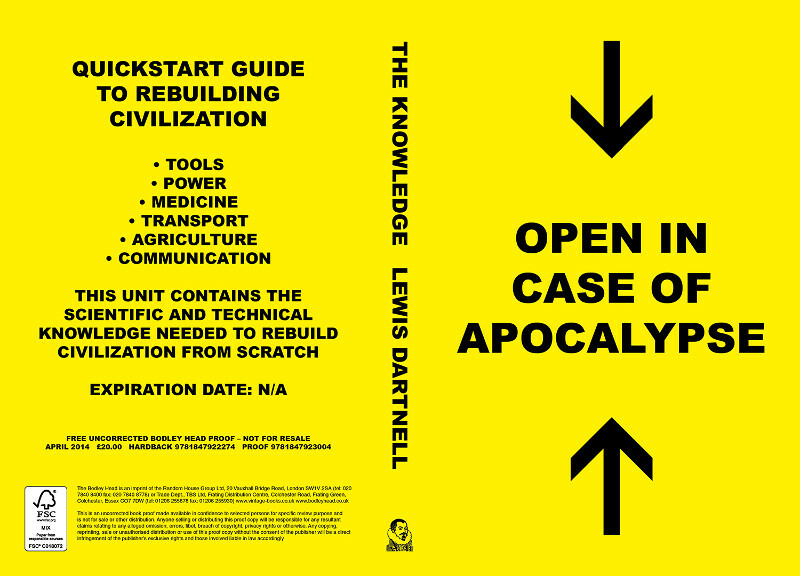 Playing with the theme of preserving knowledge in case of the apocalypse, the proof copies were bound in bright yellow covers, and labelled as a quickstart guide for rebooting civilisation from scratch. And in order to survive the devastation of the end of the world as we know it, each copy was individually vacuum-packed in a rugged plastic seal, before being popped in the post to the distribution list. Below, a small pile of the books with the derelict Battersea power station in the background. But the publisher’s didn’t stop here, and took on the task of resilience-testing the sealed books until they were satisfied the proofs had been adequately future-proofed (I suspect this spirit of inquisitiveness may have had a lot to do with the fact it was a Friday afternoon shortly before Christmas…). 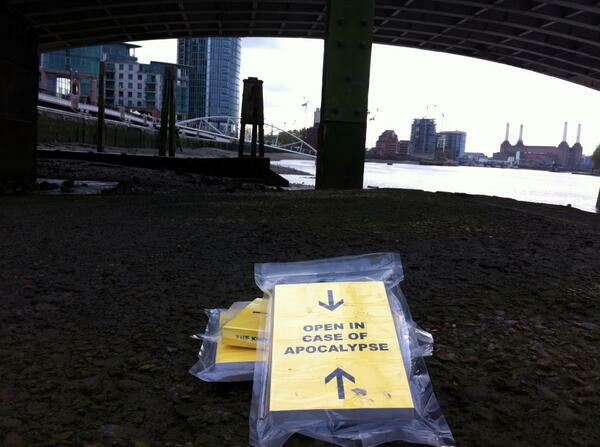 The sealed books floated happily amongst the junk in the river Thames, and so would survive a cataclysmic flood. …and by being run-over by a two-tonne transit van (click for video).